Northern Invasion 2017 will take place at Somerset Amphitheater in Somerset, WI, USA on May 13-14, 2017. Opeth, Amon Amarth and In Flames are among the bands that will perform at Northern Invasion 2017 festival. Welcome To Rockville 2017 will take place at Metropolitan Park in Jacksonville, Florida, USA on April 29-30, 2017. 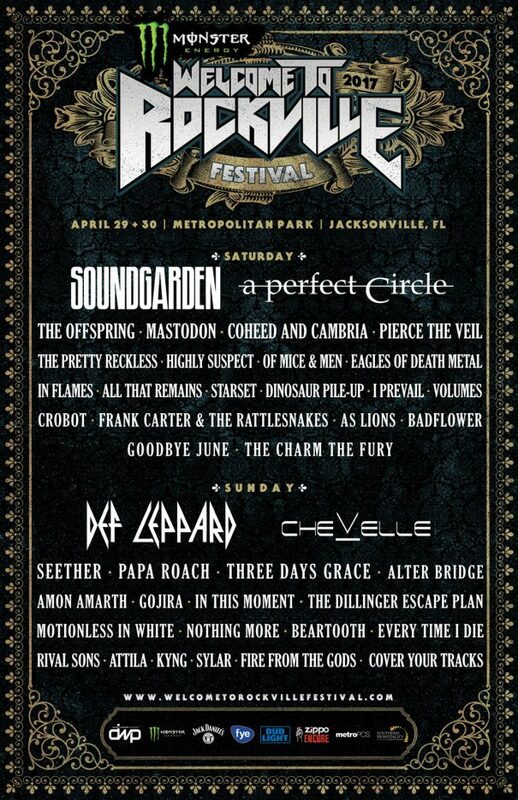 Soundgarden, Def Leppard and A Perfect Circle are among the bands that will perform at Welcome To Rockville 2017 festival. Rocklahoma 2017 will take place at 421 W 450 Road, Pryor, Oklahoma, USA on May 26-29, 2017. Def Leppard, Soundgarden and The Offspring are among the bands that will perform at Rocklahoma 2017 festival. Ozzfest Meets Knotfest 2016 will take place at San Manuel Amphitheater and Festival Grounds in San Bernardino, California, USA on September 24-25, 2016. Black Sabbath, Slipknot and Slayer are among the bands that will perform at Ozzfest Meets Knotfest 2016 festival. Download Festival 2016 will take place in Castle Donington, UK on June 10-12, 2016. Black Sabbath, Iron Maiden and Megadeth are among the bands that will perform at Download Festival 2016 festival. Download Festival Paris 2016 will take place at Hippodrome de Longchamp, Paris on June 10-12, 2016. Iron Maiden, Rammstein and Korn are among the bands that will perform at the Download Festival Paris 2016 festival. Tons of Rock 2016 will take place in Halden, Norway on June 23-25, 2016. Black Sabbath, Amon Amarth and Megadeth are among the bands that will perform at Tons of Rock 2016 festival. Hellfest 2016 will take place in Clisson, France on June 17-19, 2016. Rammstein, Black Sabbath and Slayer are among the bands that will perform at the Hellfest 2016 festival. Rock On The Range 2015 will take place in Columbus, OH, USA on May 15-17, 2015. Judas Priest, In Flames and Slipknot are among the bands that will perform at the Rock On The Range 2015 festival. Kivenlahti Rock 2013 will take place in Vanha Maantie 13, Espoo, Finland on June 07-08, 2013. Whitesnake, Children of Bodom and Ensiferum are among the bands that will perform at the Kivenlahti Rock 2013 festival. 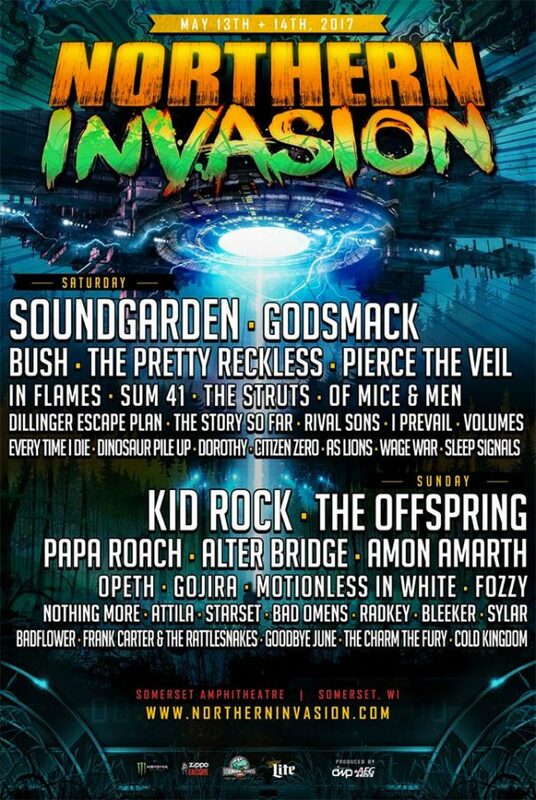 Rocklahoma will take place at “Catch the Fever” Festival Grounds in Pryor, Oklahoma, U.S.A. on May 25-27, 2012. 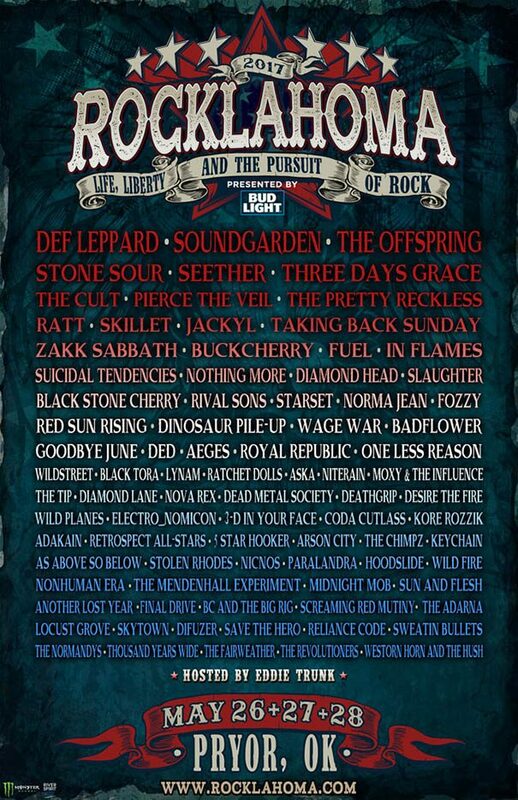 Rob Zombie, Megadeth and Slash are among the bands that will perform at the Rocklahoma 2012 festival.